This glossary contains definitions for nearly 900 construction terms and many include helpful graphics for further clarification. It's an excellent reference for both beginners and experts who are looking to expand their construction knowledge. 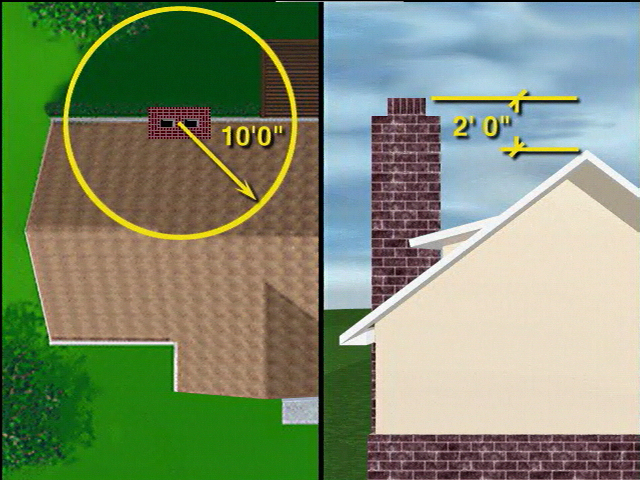 Rule that states that the top of a FLUE must be at least two feet higher than any roof part within ten feet.